The wondrous Karmi has found a huge stash of round utility lights on ebay for $9 each. They look to be pretty good matches to the Progress “Circlines” from my 1961 Progress catalog. Remember these Sophisticates and Mardi Gras? 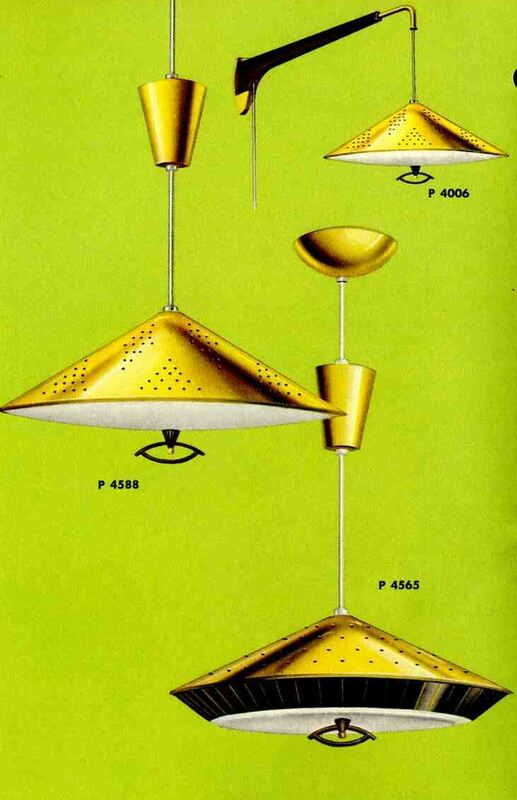 While the utility rounds don’t ring my bell compared to snazzy atomic stuff, especially in spots where you want to make a big decorative statement, the lights that Karmi has found certainly appear to be authentic to the time period. And, you know, they are growing on me in terms of the simplicity. Very deco. Thanks, Karmi! Readers, there is more to come from this dynamo. 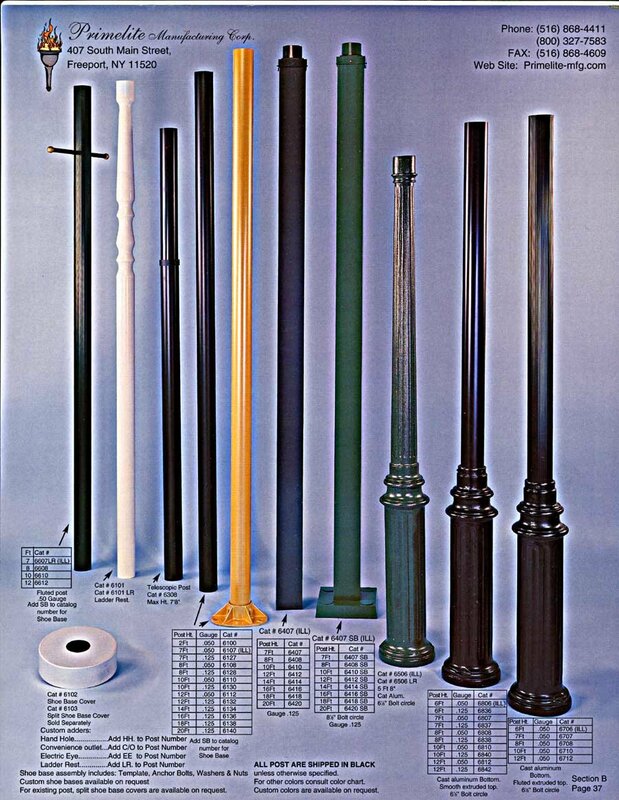 Karmi has kept me up to date on all her renovations — vintage steel cabinets, pink washer and dryer to die for, and much more — I just have to get the posts in order. Canton, Ohio, watch out. Karmi, you get a Tag and smiley 🙂 too. You are a rock star in my world, K.
Wow, Pam! This is better than being on the cover of the Rolling Stone!!! I want to let Readers know that my light arrived yesterday, and though its design is overly simple and darn near lackluster, it is almost exactly like the two-tube light in the Circline ad. There is no “dome” coming down in the middle though — the one I got is flat. It’s almost like a big chrome cake pan. In fact, when I first saw it, I was certain that something was missing! Not bad for a place-holder until I find something that rings my bell! 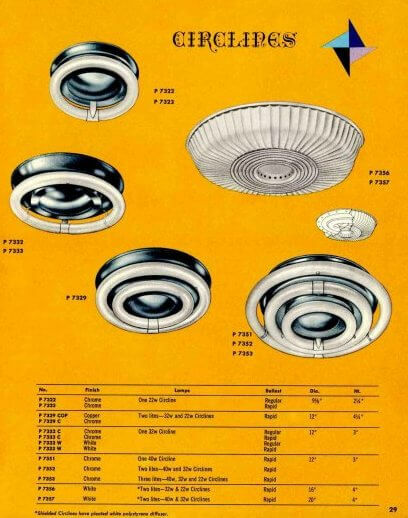 You can find them by searching for Fluorescent Round Circline fixture or item number: 290257010009 you e-know where. 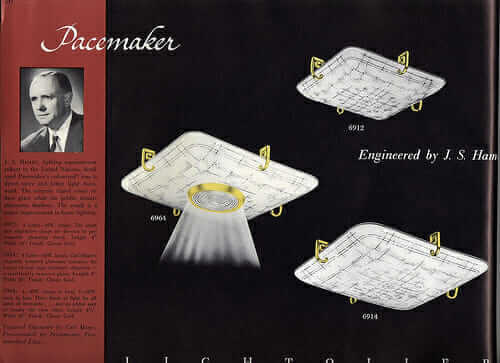 The two-light circline was the standard kitchen fixture in our 1950’s suburban Chicago subdivision. 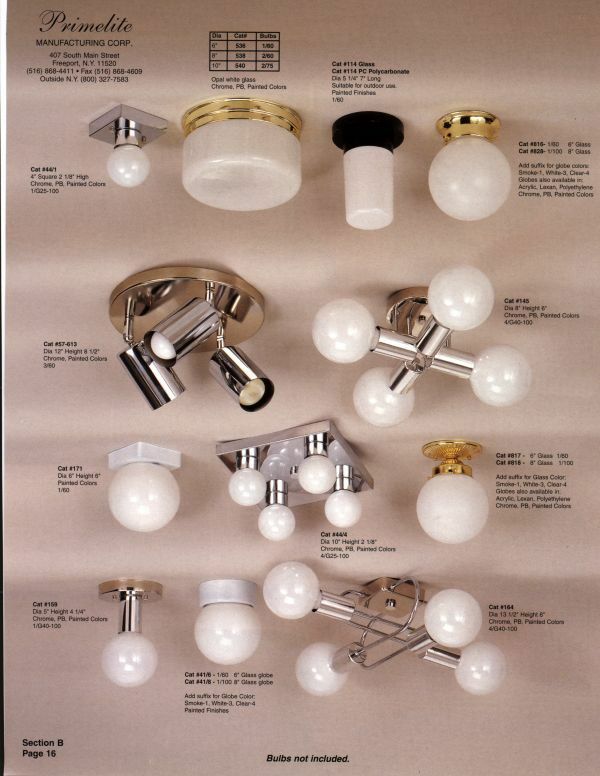 Ours had a faceted glass center dome instead of the chrome shown in your catalogue example. Remember that flourescent lighting was considered new and modern and didn’t require the decorative shading we would expect today. 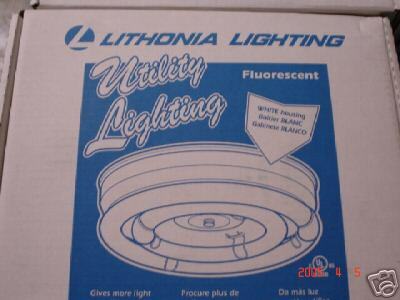 New versions can be found in big box home improvement stores, but are plain and utilitarian.